Capt. 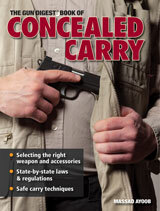 Rudy Nyman of the Appleton Police Department discusses the implementation of Wisconsin’s new concealed carry law. Note: We are not endorsing Captain Nyman’s comments, but rather posting this so you can be aware of the attitudes of police toward concealed carry permit holders. Note also that Capt. 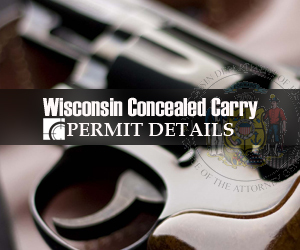 Nyman says that all public buildings in Appleton will post to prohibit concealed carry. That means there will be suspension of constitutional rights (both state and federal) in our government buildings (those owned by taxpayers) throughout Appleton. This hearkens back to the days of segregation. And it could be taken as “Martial Law Lite.” But no matter how you take it, WGO will be tackling these outrageous city-level gun bans and creation of criminal safe zones by our aldermen one by one. I wonder how many of the Appleton police force are criminals on the force.. Like Milwaukee, I’m sure there are some. Appleton is one of the best departments in the state besides madison. 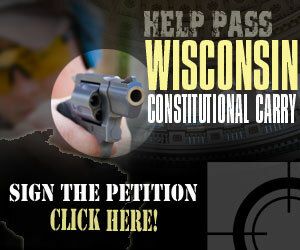 the appleton police dept has talked anti ccw when the dole pinneapple was in office! he also said his officers would ask if you had a firearm when they stop you in a traffic stop! i dont think they can legally do that!!! He is always shooting off his mouth about law abiding citizens that are going legally carry with a permit!!! go have a cup of coffee Barney fife, and relax!!!!! the appleton police dept has talked anti ccw when the dole pinneapple was in office! he also said his officers would ask if you had a firearm when they stop you in a traffic stop! i dont think they can legally do that!!! He is always shooting off his mouth about law abiding citizens that are going to legally carry with a permit!!! go have a cup of coffee Barney fife, and relax!!!!! I thought Capt. Rudy did a very good job of explaining the police position on conceald carry. no problem there. as far as the city creating criminal “safe” zones,i guess that’s up to them. just glad i’m not a public worker in one of them zones. Banning guns or other weapons doesn’t make anyone safe or safer except for armed criminals. Gun bans make everyone unsafe. Police are not safety experts, they’re safety hazards. If school or campus gun bans made students safe, the Virginia Tech shooting would never have happened and everyone would still be alive. City government may not blanket suspend Consitutional Rights on city property without due process of the law. City government is also of the people, by the people and for the people. It is NOT it’s own entity seperate from the people. The people have spoken in favor of lawful concealed carry so the city is bound by the citizens voice and shall not suspend that duty to comply. A law enforcement agency is NOT a source of legal council, so they can NOT lawfully advise anyone on HOW to handle the nuamces of the new law, that is specifically up to the DOJ not law enforcement. Cops are NOT Lawyers. They are the people who arrest you, take you off the street, and make you disappear. We have to make the law and we have to make the law clear to police so they can’t use its ambiguity/vagueness as excuses. After listening to the interview, you mean that these police officers approached vehicles during a traffic stop with no fear of an armed criminal before the law and now they fear everyone?